Rowan Jones Drops 3:19 At End Of Ironman | Run S.M.A.R.T. 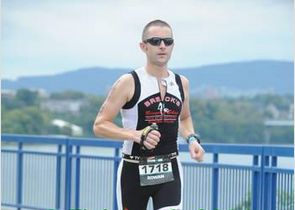 Rowan Jones got under his goal time at Ironman Chattanooga this past weekend with the help of a monster 3:19:04 marathon on his last leg in hilly conditions. His marathon time was 1st out of 295 in his age group and 7th fastest amateur time out of almost 2,300 amateur finishers. Next up for Rowan after a few weeks of downtime is the Boston Marathon. Let’s see how fast he can run without all that swimming and biking beforehand!